Not every challenge players face in a campaign is related to the rules, or even the actual events taking place in-game. Sometimes, the hard part is remembering some small detail that suddenly becomes important, or reading between the lines of an NPC’s dialogue because what wasn’t said is every bit as crucial as what was. It’s the kind of thing that rules systems rarely cover because it exists outside the scope of the game proper. It’s a lot like when a character in a movie breaks the fourth wall and speaks to the audience, it happened, but not in terms of the narrative of the story. As a GameMaster, this is the sort of challenge I like to construct for my group from time to time. 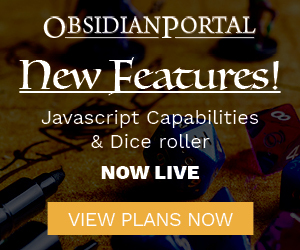 I like the idea that it’s purely for the players, and that nothing on their precious character sheets will help them. Usually, the only challenges that reach this sort of “fourth wall” area are riddles – but why limit yourself? 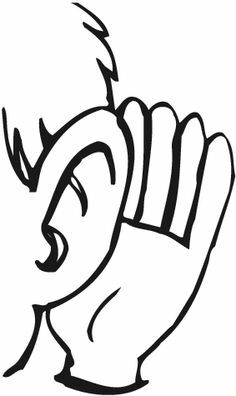 A personal favorite that crops up in my games now and again is the “how closely were you listening” challenge. The premise (obviously) is that I provide an in-game presentation of some variety, and the players give me back the correct piece of information that I require of them – which they will only know if they were paying attention and not say… looking at their phones or the like. Said required information is then contained within the presentation in one of a few formats. Format options include (but are certainly not limited to): broken into bits, stated by way of NOT being stated, obvious when other already known information is applied, and given outright, but in a convoluted way OR with enough time misdirection so as to make the particulars a little harder to remember. The campaign setting is Kenzer and Co.’s Kingdoms of Kalamar. In this setting, “The True” is the god of truth and justice. This was presented during game one, when the PCs were level 1 – and was meant to be “CR 1” to use D&D 3.5 terminology. 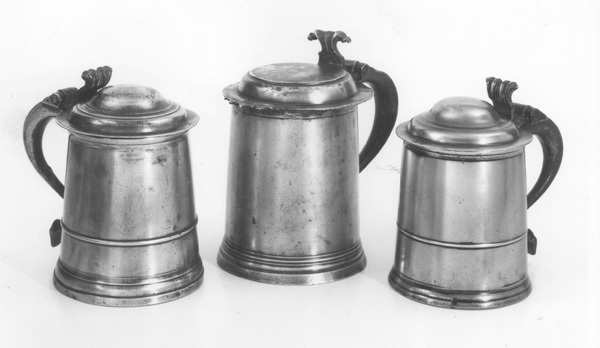 There were seven players at this point in the campaign, so the number of tankards used is scaled for a party of that size. The PCs (students at Cosolen’s military academy), volunteered to assist the crown, and were assembled as one group among four to undergo a series of challenges to determine the most able party for the assignment. Their guide, the High Elf cleric Zelaena Onaeriel escorts them to the first challenge. With the introduction delivered, Zelaena backs away, allowing the party access to the table and the Tankard Challenge Scroll. As you can see, the party needed to look at things that were said as well as things that were left unsaid to arrive at the solution and not get poisoned. In this particular setup, there was an extra micro challenge in that the party assumed that Zelaena would then take them to the next challenge. However, she merely stood there waiting. It took the group a couple minutes to remember that she had said that everything they needed to complete this challenge and move on to the next was on the table. Turned out, the murderer’s tankard held more than just poisoned wine. While it wasn’t an overly complex challenge, it was a great deal of fun. Before allowing the players to actually see the text so as to reread it if necessary, I read it aloud with a bit of performance in my standard narrator voice. Throwing in the secondary requirement of needing to remember Zelaena’s words and thus look inside the murderer’s tankard put it over the top, as the players had known they were in for a listening challenge, but they didn’t know that it wasn’t quite over once they figured out the murderer’s identity. So in closing, don’t forget to challenge your players as well as their characters. You might just find out that “attention span” is their dump stat. Got a challenge you’d like to share? I’d love to hear about it in the comments. Thanks for the article. I certainly do have times like these in my campaign, although I am quite willing to give clues if the players cannot remember things exactly or if a single name was missed. When something seems to have completely alluded them, I allow some kind of skill roll to see if someone remembered. I do the same thing Twigs does, but every clue reduces the XP award for solving the riddle or puzzle–until the players give up. They get no XP, but they can bypass the puzzle, slap their foreheads, and the game continues. Plus, just like Haley shooting the Doorkeeper Who Always Tells the Truth, there always needs to be an alternative. The point is (and I think every good GM–including yourself–knows this): never make solving the puzzle the only way to proceed.